As self-builders, hosts Nick and Kate were very keen to use the opportunity to reduce their environmental impact through good design and materials. They have created a very comfortable place to live, the whole family loving the light, the space, the views and the rammed earth wall they built themselves. With space and time to get exactly the house they wanted, they have a lot of good tips to share about getting it right. • Consider cooling and solar shading. 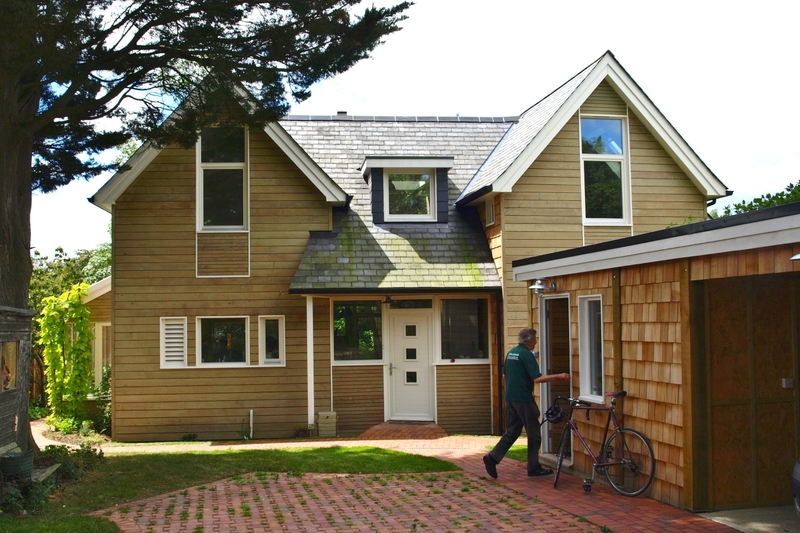 Want to know more about Eco Self Build? Host Kate Hawksworth is speaking at our Eco Self-build – make it happen on Wednesday 26th September.